YOU CAN NOT AFFORD TO MISS THIS CYBER SECURITY EVENT. Small and medium sized businesses are targeted by cyber criminals because they can be vulnerable and exposed, making it an easy target. Given the increased pace and complexity of the threats, small businesses must adopt and then adapt the approaches to cyber security that will require increased engagement to protect critical business information without constraining innovation and growth. Learn from the experts about the latest technologies and the necessary steps to take to protect your business. Ranked by U.S. News & World Report as sixth in the Best Regional Universities North category for public institutions, Ramapo College of New Jersey is sometimes viewed as a private college. This is, in part, due to its unique interdisciplinary academic structure, its size of approximately 6,000 students and its pastoral setting in the foothills of the Ramapo Mountains on the New Jersey/New York border. 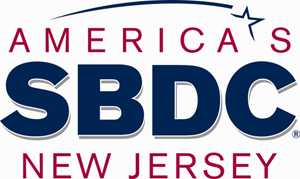 NJ Small Business Development Center is working in collaboration with Ramapo College to bring this event to the business community. Register Now. Admission is FREE with Advanced Registration. is funded in part through a cooperative agreement with the U.S. Small Business Administration (S.B.A.). Event produced by Centaur Strategies, LLC.